TOKYO/SINGAPORE – Prime Minister Shinzo Abe is expected to declare Japan’s participation in the Trans-Pacific Partnership free-trade negotiations at a news conference Friday. A government source on Tuesday confirmed this is the day being considered for the announcement. Abe is thought to be hoping to present his plan, and gain backing for it, at a general assembly of his ruling Liberal Democratic Party on Sunday. Meanwhile, some of the countries already engaged in TPP discussions in Singapore have aired concern over Japan’s search for an exemption to scrap all tariffs for certain items, such as farm produce, after it joins the talks, a source close to the negotiations said Tuesday. The LDP panel on the TPP is scheduled Wednesday night to draw up a set of demands for joining the trade talks, such as measures to protect the politically sensitive agricultural sector. Some LDP lawmakers have expressed concern about, and opposition to, Japan taking part because of the potentially adverse impacts on domestic industries and the livelihood of citizens. If the discussions get too heated at the LDP panel, the date of announcement may be delayed. After announcing Japan’s participation, the government will likely take steps to start the negotiations, including endorsements from the United States, Australia and New Zealand. Eleven countries are involved in the regional trade iniative. Japan will unlikely enter into negotiations before June because the United States requires at least 90 days to secure congressional approval even if the administration endorses Japan’s participation. In Singapore, meanwhile, the participating countries shared the view that they should request that Japan strictly adhere to what has already been agreed upon in previous rounds of negotiations, according to the source close to the negotiations. The source said Japan’s participation was formally discussed at the meeting and certain countries expressed concern that Tokyo has sounded out to some of the 11 TPP member nations over exempting rice and other items from tariff elimination. The source said views were expressed at the meeting that Japan should enter into talks without setting preconditions. In principle, the TPP calls for the elimination of all tariffs on all trade items. In December’s general election, the LDP pledged to oppose taking part in the negotiations unless exemptions to tariff eliminations are granted. In his talks with U.S. President Barack Obama in February, Abe confirmed that joining the free trade talks will not require a commitment to removing all tariffs. The 11 TPP countries are Australia, Brunei, Canada, Chile, Malaysia, Mexico, New Zealand, Peru, Singapore, the United States and Vietnam. 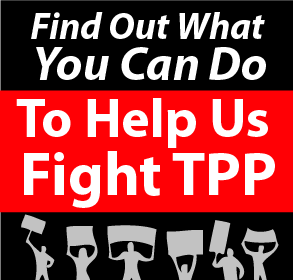 ← Who benefits from Trans-Pacific Partnership?